In fact it makes me sad when I think about the things that I will miss and how will I know that it might be the last time I get to do it. I will just cherish every single one of them, as if they were the last time. Being woken up by the sound of Holly calling ‘mummy’ from her cot and lifting her out for that first squeeze of the day. Feeling their little hands in my hand, as we walk along. I wish I could hold onto them forever. How excited they get when they hear the key in the door and they know daddy is home. Running to the door and being scooped up and into his arms. The way the girls are always looking for each other. Especially Holly calling ‘Alliccee’ is just to cute. Alice telling me she loves me at least fifty times a day, she is such an affectionate little girl. All of us snuggling in our bed at the weekend and taking a slow start to the day. Snuggles in bed are the best! That they want to spend every minute of their day with me, sometimes is can be suffocating. But, I know I will miss it when it’s not cool to hang out with mum! Those snuggles from Holly when she has just woken from her nap and just wants me to hold her tight. I could squeeze her all day long. Taking them to the park and the swing bringing them both so much happiness. 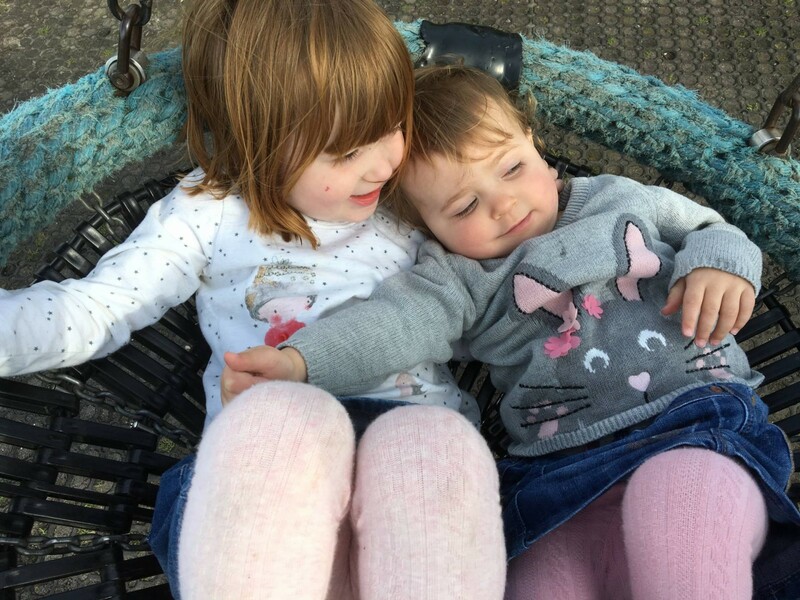 My girls love a swing. When only my cuddles will do, when only I can make it all better, when they just want their mummy. Hopefully they will always need me, just in other ways. I know I still need my mum. Its so true. I don’t think I appreciate the small things as much as I should just now and I when I think about it, I know I will miss them when she is older. 🙁 how do people cope with empty nest syndrome lol. Holly is only 3 and im fearing it already!! Oh, don’t get me started!! Aww lovely post, I dont really want my littlies to grow up. They are getting too big already. Thank you. Oh I can’t think about it too much!! What a lovely post! I’m going back to work soon and I’m thinking about all the things I’m going to miss already and it makes me want to cry!